6. 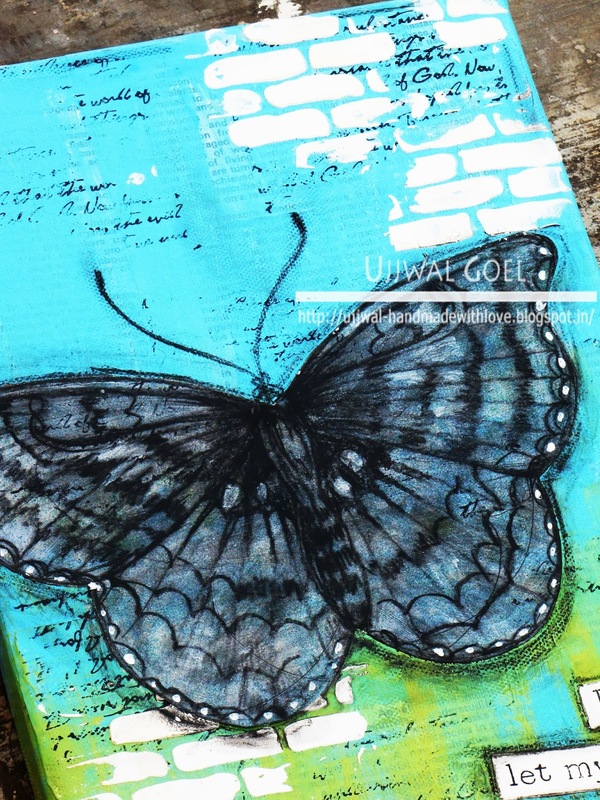 Once my canvas was dry, I glued the butterfly and the sentiment down and added more highlighting with charcoal pencils and white paint. 7. Another coat of mod podge over the whole thing and it was done. 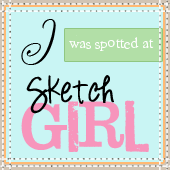 I am also taking the March Challenge with Mou at Design Memory Craft blog. The theme is to showcase our motto in life and this canvas truly reflects mine. This year I have decided to let my mind wander and let life take it's own course, without worrying about things I can't change. Let me know what you think of my maiden attempt. wow Ujjwal, this is simply suberb! i am still drooling! i am also very inspired by mixed media these days and dream of making somthing good..
but this is a masterpice in your first attempt itself! A+ for your maiden attempt at a mixed media canvas. LOVE your charcoal drawn butterfly. Enjoy your mixed media journey! THis is sheer brilliance Ujjwal! Love how the sentiment and butterfly put the thought across! Love it! Love it! Love it! In simple words ur creation and tutorial is WOW!!! 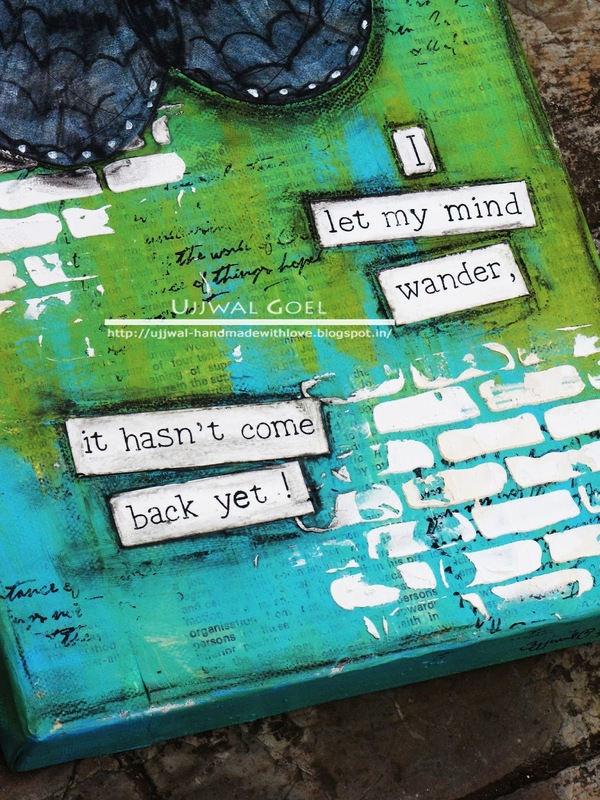 Beautiful Mixed Media with lovely colors and layers, Ujjwal. I think it's great. The colors are beautiful. Thank you for the, detailed, instructions and supply info. 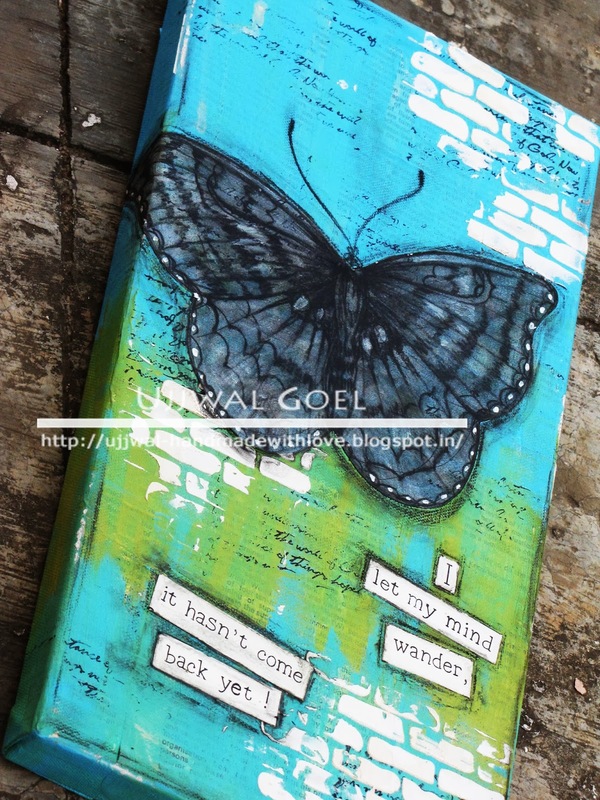 Wow i love the canvas...that hand drawn butterfly is amazing...all the text written makes it a great piece of artwork! !